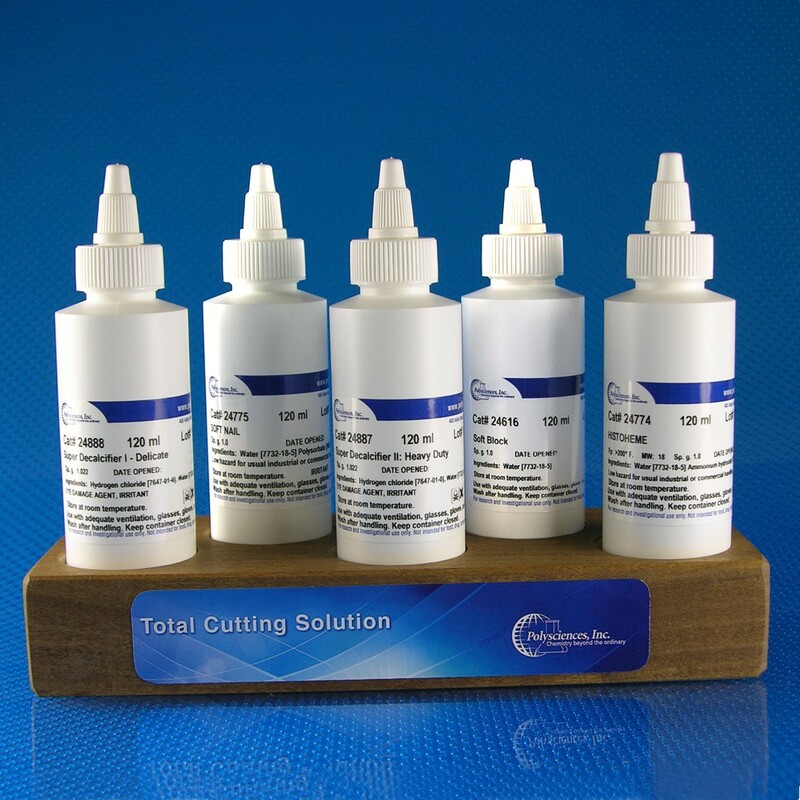 Total Cutting Solution Kit | Polysciences, Inc.
A revolutionary product for every microtomy work station in your lab. Our Total Cutting Solution Kit provides you with 5 tissue cutting solutions to address underdecalcified tissue, overdehydrated tissue, dry bloody specimen, nails and other problem blocks & specimens. Don’t let poor processing and paraffin issues impact your work flow. 10 multi-well tissue block holders provided with the kit. Convenient 5 bottle holder allows you to sit these great problem-solving solutions right at your cutting station. 120 ml Replacement bottles available for Soft Block, Histoheme, Soft Nail Super Decalcifier I: Delicate and Super Decalcifier II: Heavy Duty. Solutions are also sold separately in larger sizes.